You are here: Wade Thomas Parents Association > Programs > All Posts > Featured > What are YOU doing this weekend? 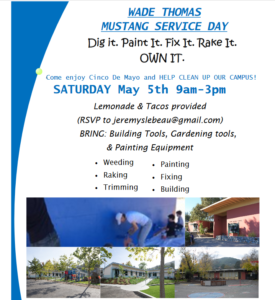 First, lend a hand to clean up our campus on Saturday! There will be jobs both big and small, something for everyone in the family. We need your help! Anytime 9am-3pm. 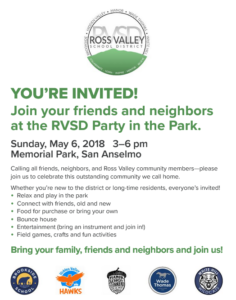 Then, join the entire RVSD community for a party at Memorial Park on Sunday! 3pm-6pm. ← Bike to School Day, May 6!